Product Dimensions (L x W x H): 6.5" x 3" x 5"
Bookends Are Another Great Desk Accessory That Help Keep Order While Adding A Touch of Style. 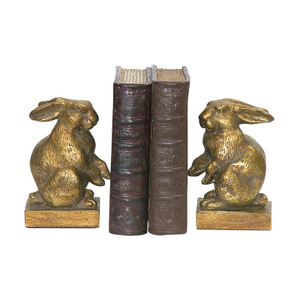 The Pair of Baby Rabbit Bookends By Sterling Will Stand-Out & Add Unique Character To Your Home. Each Bookend Features A Standing Bunny Rabbit That Is Holding A Book In Place. The Bunny Is Painted In An Antique Gold Finish & Each Book Is Painted In Brown With Gold Pages Resembling An Antique Leather Bound Book. 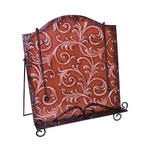 Displayed On A Book Shelf Or Table, Or Used Back To Back As A Decorative Display Accessory, The Bookends Make A Great Gift For The Student, Avid Book Reader Or Child. Bookends Measure 6.5 Inches Long X 3 Inches Wide X 5 Inches Tall.